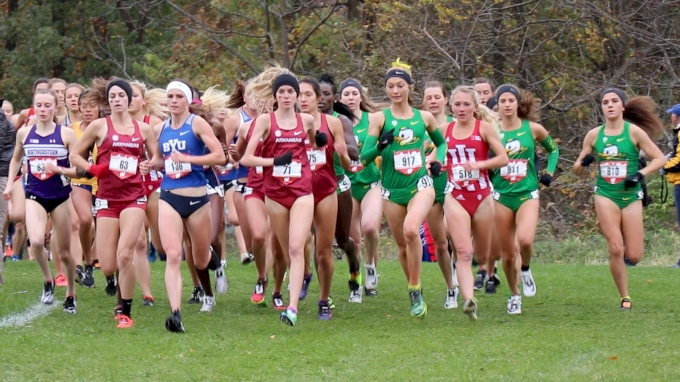 Saturday's Wisconsin Pre-Nationals marked the end of NCAA cross country's "regular season" and the final opportunity to race on the course that will host the NCAA Championships next month. The four races produced a long list of strong performances and rearranged some of the post-season projections. Here are some of the biggest surprises, lessons and omissions from this past weekend in Madison. After their fifth-place finish at Nuttycombe, it was clear the Arkansas women were a legitimate top-10 team in the nation. Now, they can set their sights higher. Their 51-71 victory over Oregon was the biggest surprise out of any of the team results from Madison. Based on track personal bests, Arkansas appeared overmatched against Oregon, which features an array of All-Americans. On Saturday, Arkansas benefited from another scintillating performance by freshman Katrina Robinson (who placed second) and backed that up with three more women inside the top 10 (Taylor Werner, Carina Viljoen, Lauren Gregory). Robinson now is a proven commodity--there’s nothing fluky about finishing eighth at Nuttycombe and second at Pre-Nationals--and a low-scorer the Razorbacks can count on during the championship part of the season. The supporting cast was bolstered by the addition of Gregory who didn’t race at Nuttycombe. Individually, the biggest surprise was Northwestern’s Aubrey Roberts. The junior made a strong move over the final kilometer of the race and almost caught Robinson for second. It was a great result for Roberts who placed 63rd and 50th at the last two NCAA Cross Country Championships. On the other side of Arkansas' upset was Oregon, the team that entered the meet ranked fourth in the nation--a position that looked to be the floor for a team with so much depth and experience. The Ducks got a great race from Jessica Hull and not much else. Hull converted her 1500m track speed to 6000m on the grass, pulling away from the field in the final kilometer to demonstrate she’s ready for the best cross country season of her life. But the Ducks' next member across the line was Weronika Pyzik in 12th. By that point, Arkansas already had three scorers in and the math wasn’t in Oregon’s favor. Philippa Bowden took 17th, Carmela Cardama Baez was 19th and Isabelle Brauer 22nd. If there’s any consolation for Oregon, it’s that runners two through five remained in close contact. Their 1-5 gap was actually only four seconds larger than Arkansas. Hull’s performance was an obvious silver lining as well--having someone with top-10 potential at NCAAs can work wonders on the team score. But for the Ducks to contend with Colorado and New Mexico, they will need Pyzik (or someone else) to bridge the gap to Hull in the next five weeks. When the entries were released, Dani Jones and the rest of the top-ranked Buffaloes weren’t on the list. Colorado’s absence hurt the overall depth of the race and added a bit more drama to the upcoming Pac-12 showdown against Oregon in two weeks. 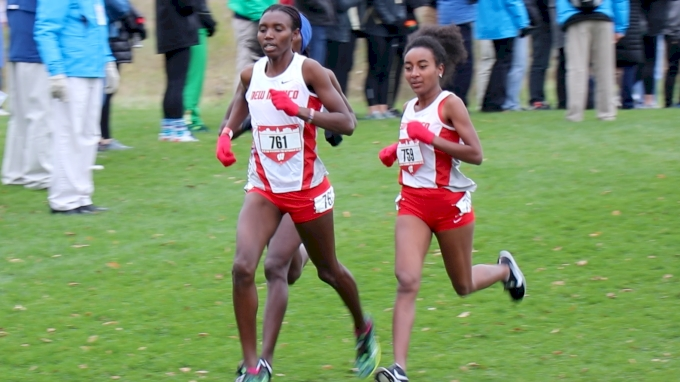 Led by Weini Kelati and Ednah Kurgat’s 1-2 finish, the Lobos scored 67 points for a comfortable win. That result was expected--the two teams that beat New Mexico at Nuttycombe two weeks ago weren’t on the line in Madison. This race, then, was about New Mexico trying to iron out any wrinkles as they aim for their third national championship in four years. Kelati, Kurgat and Charlotte Prouse are formidable and represent the best trio in the country. The questions arise in their fourth and fifth runners. 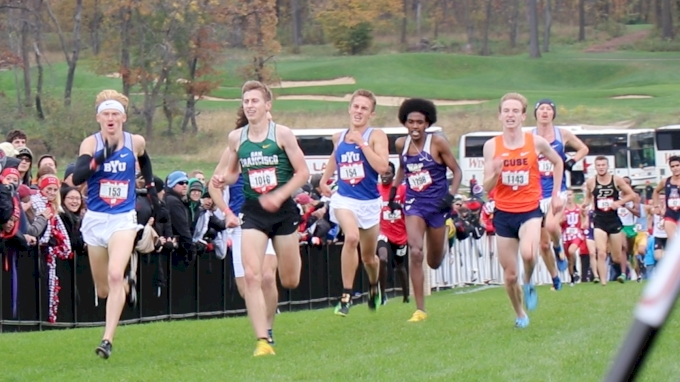 Their spread between the first and fifth runners remained virtually the same from Nuttycombe to Pre-Nationals--1:29 at Nuttycombe and 1:32 at Pre-Nationals. Adva Cohen, New Mexico’s fourth runner, was closer to Prouse than she was two weeks ago, but remained the same distance back from Kurgat and bit farther behind Kelati. New Mexico’s fifth runner, Hannah Nuttall, placed 41st, running virtually the same time she did at Nuttycombe. It’s clear they don’t have the knockout fifth runner like their 2015 team did. The distance back to the fifth runner will cause some anxiety, but if Kelati and Kurgat go 1-2 and Prouse finishes in the first 15 at nationals, New Mexico will still be in a very strong position. There were no major surprises in this race, rather just a few things that didn’t go exactly to form. Sharon Lokedi of Kansas entered the meet the top-ranked runner in the nation and finished sixth. Lokedi ran to win, pushing the pace alongside Kurgat and Kelati. Although she faltered in the last mile and slid out of the top five, the result isn’t that alarming for her first “big race” of the year. Is she the favorite to win the individual title? No, but she’s in a group of about six women who have a decent shot at the national championship. In the team race, Michigan took second ahead of Stanford, 120-129—an upset according to the rankings. But anyone who has seen Michigan’s results this year couldn’t have been terribly surprised by their 50-second spread. The Wisconsin junior ran the race as a workout--running comfortably with three of her teammates to finish 33rd. Monson was the surprise winner of the Nuttycombe Invitational two weeks ago and it would have been fascinating to see if she could make it two in a row against the New Mexico tandem of Kelati and Kurgat. It’s not always fair to compare times in cross country, even on the same course; however, Monson and Kelati had the exact same winning times down to the tenth of a second, 19:33.3. NAU overwhelmed the field for the second time this season, putting up 41 points to take an easy victory over Stanford. 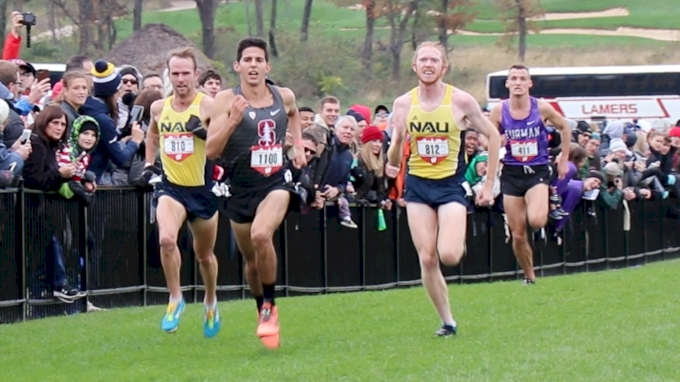 NAU could have scored all seven runners and still bettered Stanford’s 84 points (Stanford was without one of their top runners, Steven Fahy). As per usual, Tyler Day and Matt Baxter led the way, running second and third, respectively. Baxter didn’t run at Nuttycombe, and his return to the lineup means NAU has two individual national championship contenders in addition to their team aspirations. Behind those two, Peter Lomong was a solid seventh place and Geordie Beamish and Luis Grijalva rounded out the scoring. Stanford’s Grant Fisher mistimed his kick, but still held off a late charge from Day to get the win. It was Fisher’s first race of the year and, other than the confusion in the closing meters, it went about as well as he could hope for a debut. The win puts him on a short list of men capable of taking the individual title. Kicking right alongside Baxter, Day and Fisher was a man unfamiliar to most. Aaron Templeton, a senior from Furman, turned in the most impressive performance of his career to take fourth place. Templeton was 141st at the NCAA Championships last year, and 51st at the 2015 edition of the meet. Those are the only two NCAA Championships he’s qualified for during his career in cross country, and indoor or outdoor track and field. At the 2017 Nuttycombe Invitational, Fisher, Day and Baxter ran 2-3-5 in a thrilling finish. Templeton was 20 seconds behind. On Saturday, that margin was all but erased. The Nuttycombe champion didn’t race on Saturday, meaning we will have to wait to see a McDonald-Baxter-Day-Fisher head-to-head-to-head-to-head. After his win at Nuttycombe, it was expected that he would sit this one out and get prepared for the championship part of the season. Without Daniel Carney, BYU was still able to put all five scorers in the first 12 runners on their way to a score of 29 points. Part of the appeal of depth is it lessens the pressure on any one individual. Connor McMillan, the top finisher at NCAAs for BYU last year and the owner of the best 10,000m PR on the team, was their fourth man across the line, and it didn’t matter. BYU’s Rory Linkletter sprinted seemingly out of nowhere to get the victory in a race where six men finished within two seconds of each other. BYU went 1-4-5-7-12 with Conner Mantz taking fourth and his teammate Clayson Shumway in fifth. In the dramatic final 100 meters, Chris Olley of San Francisco finished just behind Linkletter and Syracuse’s Aidan Tooker to place third. Olley comes to San Francisco via Great Britain where he ran 3:44 in the 1500m and 13:55 in the 5000m. Two weeks ago at the Nuttycombe Invitational, he finished 38th. Portland was the only real challenger to BYU and when they decided to race their B team the outcome of the race was all but decided. Portland’s squad ran without most of their projected top seven and took ninth. Will we get to see them face-off at the West Coast Conference Championships? Outside of the action in Madison, the Penn State women took the win at the Penn State National XC Open in State College. Freshman Julia Paternain ran 20:30 to beat Michigan State sophomore Maggie Farrell by two seconds. Their teams finished in that same order with Penn State scoring 62 points to top Michigan State’s 87. Georgia Tech, led by sophomore Hana Herndon’s eighth-place finish, placed third as a team. In the men’s race, Virginia packed three runners in the first eight to score 61 points and take the victory. Eastern Kentucky, buoyed by James Sugira’s individual win, scored 77 points to place second. Arkansas had runners finish third (Cameron Griffin) and fourth (Gilbert Boit), but settled for third place after their remaining scorers finished 23rd, 25th and 48th. Oklahoma State swept the individual titles at the Arturo Barrios Invitational in College Station, Texas. In the women’s race, Sinclaire Johnson ran the 6000m course in 19:58.5 to get the win. Florida’s Jessica Pascoe placed second to lead the Gators to the team title. Ashenafi Hatte, one of the many junior college transfers on the new-look Oklahoma State men’s team, won the men’s 8000m race just ahead of teammate Isai Rodriguez. But the 1-2 finish didn’t yield a victory for the Cowboys. The University of Guelph, located in Ontario, Canada, had five men in the top 20 to beat Oklahoma State 56-93.